If you can count the number of memos that you have written for your company in the last six months, you will discover that you have done quite a lot of design work. However, the frequent and repetitive work that you have done in this period has been unnecessary. It doesn’t mean that you’ve been incompetent in the last six months or that wasted precious time, it only means you have done a lot of unnecessary work that you should not be doing anymore as far as memo writing is concerned. 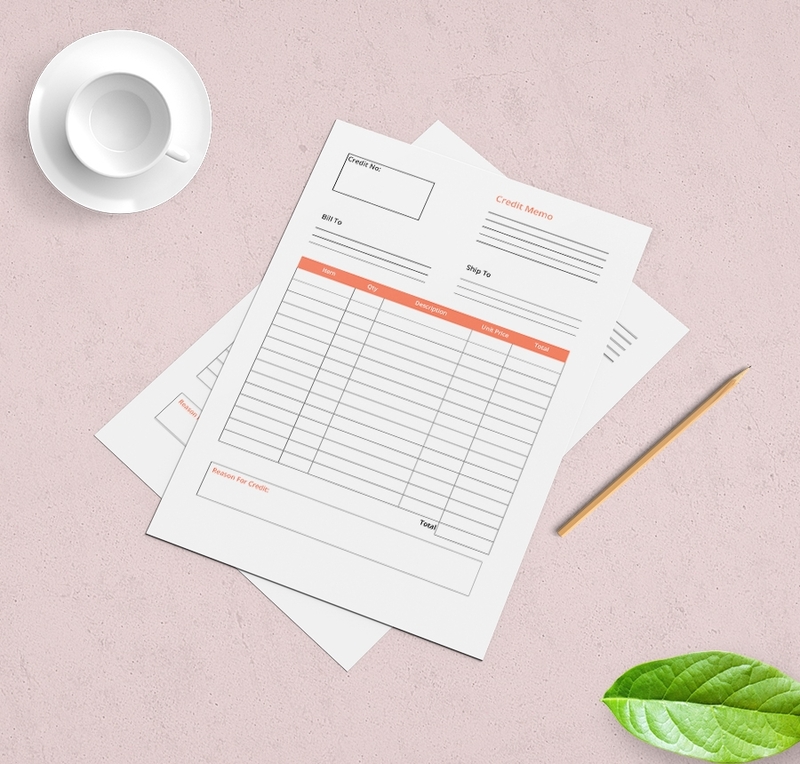 If you are looking for a credit memo that can make a billing work easier, use this sample form. The memo is print-ready and it does not require editing at all. Download the file for free today. You can use this document as a transaction tool between your business and another. The sample highlights products, quantities and the prices. It has the sender’s and the receiver’s address. The sample memo is elegant in design. The sample content is presented in a professional matter. The writing format is great and it highlights significant points without a trace of redundancy. 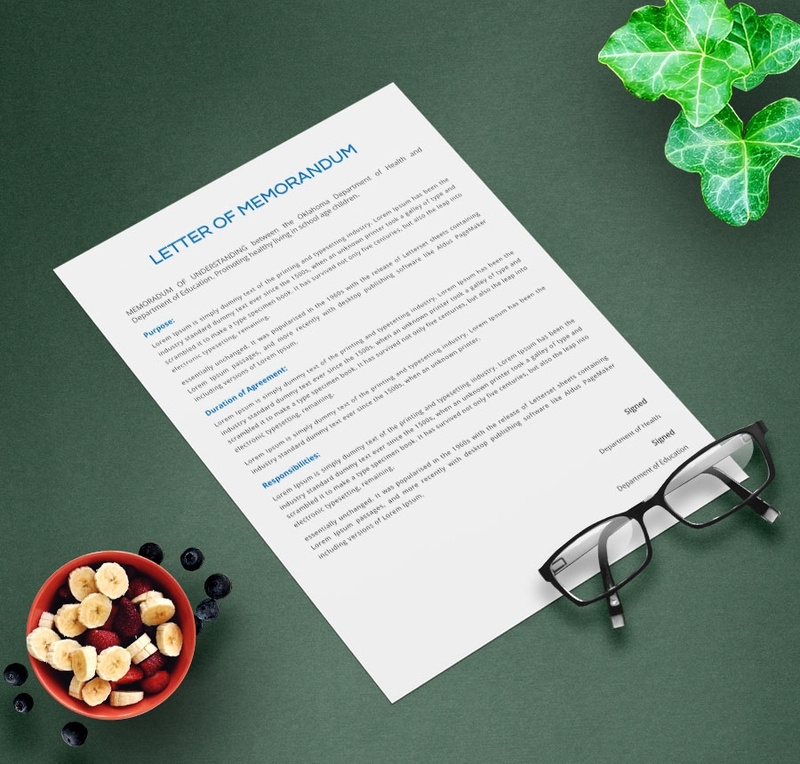 The memo letter is a sample you can use to write an agreement between your business and another organization. The duration of the agreement and responsibilities will differ from business to business. 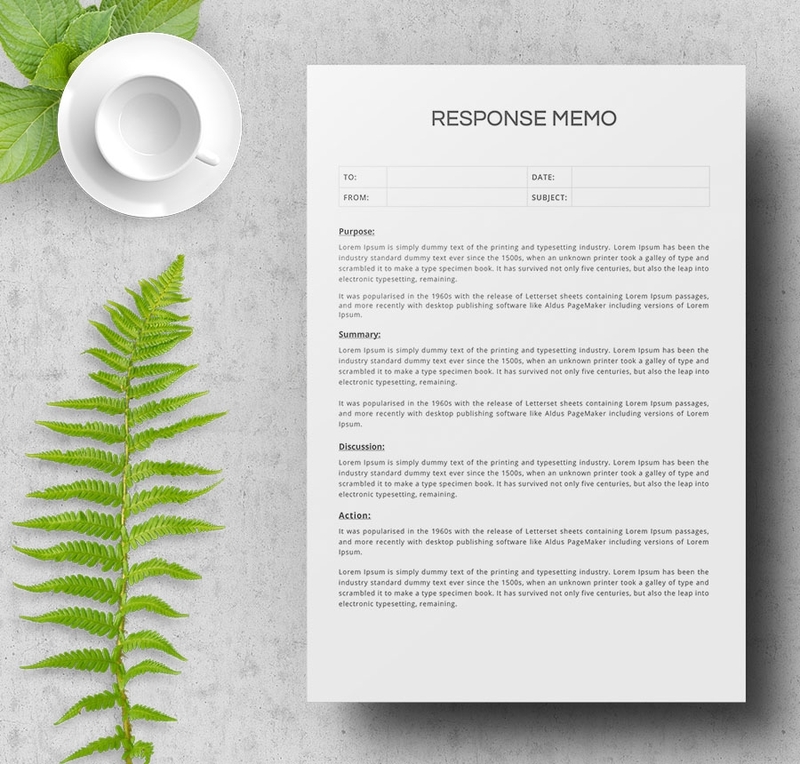 A response memo must have the name of the recipient, the name of the writer, a date and a subject topic. The content of the document should read well and match the subheadings provided. If you have no idea what memorandum looks like, this sample will give a quick overview on how to structure your document. The sample file reads well, and it has a specific recipient group. What are the uses of Sample Memos? 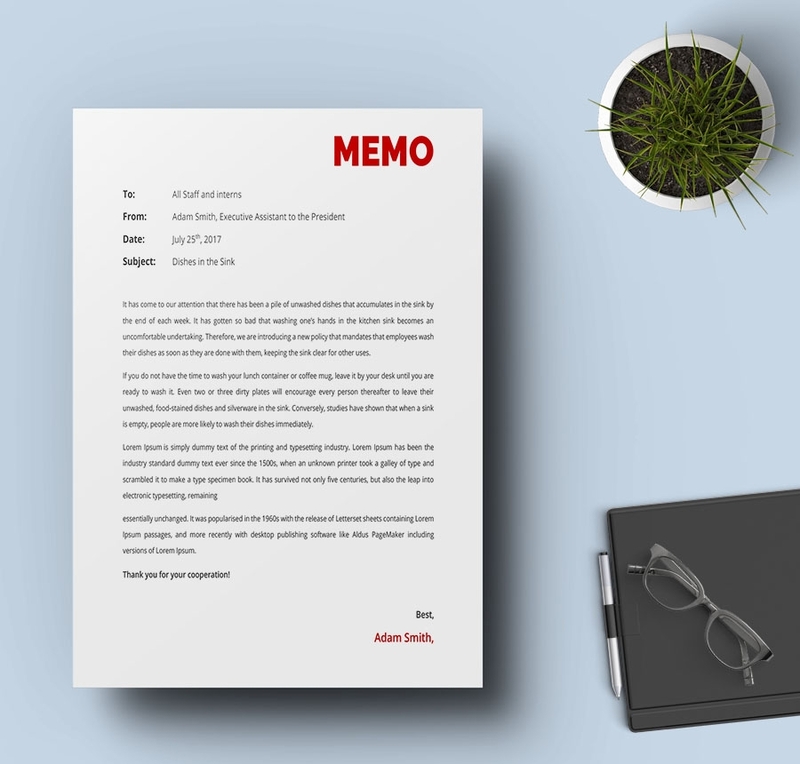 Sample memos are used to communicate a general message to the target audience. Usually, they have a specific recipient group that should read and react to the contents of the file. 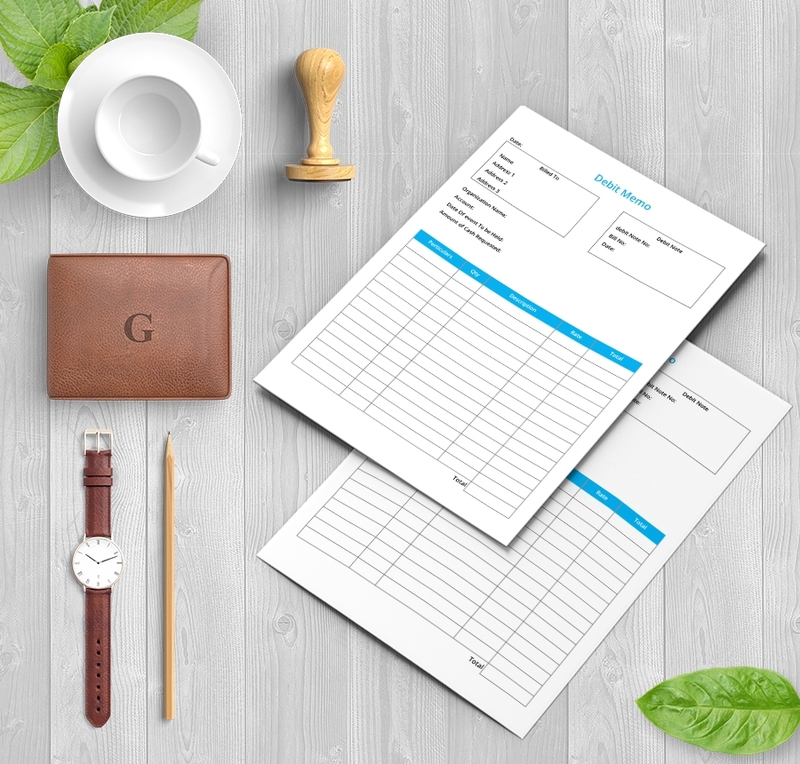 The sample files often reference the recipients as a group, which means it is suitable for addressing employees, customers, managers, supervisors, subordinate staff, students, and residents. Note that sample memos have a wider target recipient group, but it is important to understand that you can use the samples to refer to only one particular group. For example, you can’t use a student memo to communicate to students and subordinate staffs alike. That would distort the meaning of the document. Creating the sample memos yourself is labor-intense and time-consuming. If there is one thing that is for sure: cyclic work can be boring and de-motivating. To make sure you enjoy writing and using memos to communicate, we have created the best sample memos for you to use. 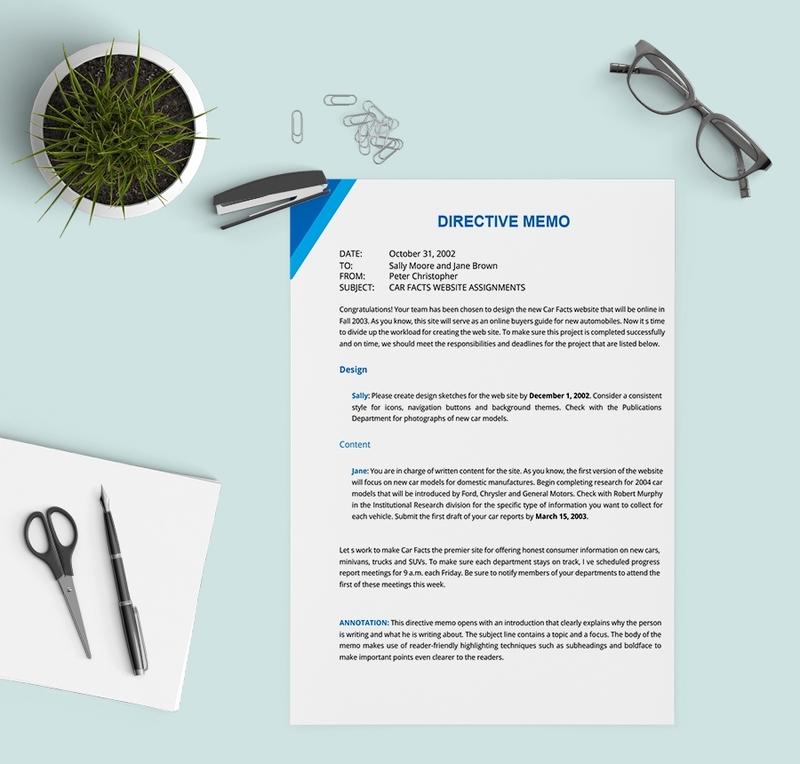 All you need to do is to download the file, edit the content if necessary, and then print the document and use it as your memo. At the end of the day, you will not only save a lot of time but also break the monotony of repetitive task. What’s more is that you do not have to buy these samples now or in future; they are free for a lifetime.